Stack’s Bowers Galleries (StacksBowers.com) will auction the finest known 1913 Liberty Head nickel this summer during the ANA World’s Fair of Money in Philadelphia. Graded PCGS Proof 66 and pedigreed to the Louis E. Eliasberg, Sr. Collection, the rarity should command intense bidding. In 1996 this specimen was the first coin in the world to cross the million-dollar threshold. 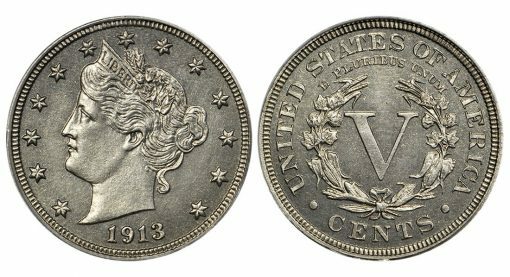 The Liberty Head nickel comes from the family of Dr. William Morton-Smith, an old-time collector whose numismatic interests were spurred by a remarkable discovery. Dr. Morton-Smith (Bill) hailed from an old-time Boston family whose passion for collecting goes back generations. As in any family, certain heirlooms pass down through the generations and in this particular circumstance, a beautiful antique Colonial desk was inherited by Bill. As he was combing through the desk discovering its many features, he came across a compartment that housed a coin collection consisting of colonial coins, half cents, large cents, a complete set of Proof Liberty Head nickels and much more. These had once belonged to his great grandfather. Bill was amazed that the coins had been in the desk all this time. He determined to learn all he could about them and add to the collection. He spent decades adding important rarities to this prized cabinet started generations before. The Morton-Smith family has chosen Stack’s Bowers Galleries to once again showcase a legendary rarity from their holdings. This is not the first time Stack’s Bowers Galleries has worked with the family; previously they were selected to bring to market Bill’s 1804 dollar, pedigreed to the Berg and Garrett collections, and his 1794 dollar, the Lord St. Oswald/Norweb specimen. The Dr. William Morton-Smith/Eliasberg 1913 Liberty Head nickel will be on display at the Stack’s Bowers Galleries table at the upcoming Central States Numismatic Convention April 25-28 in Schaumburg, Illinois, the Long Beach Convention June 14-16, the Whitman Coin Expo in Baltimore June 21-24 and other major shows between now and August. Private viewings are also available by appointment. To schedule a viewing please contact company president, Brian Kendrella at 800-458-4646. The sale will take place at the Pennsylvania Convention Center, on the evening of Wednesday, August 15. Bidders can participate in person, or by Internet, mail, or telephone (by previous arrangement). For more information call 800-458-4646 or visit StacksBowers.com. To consign your coins, tokens, medals or paper money alongside this historic coin, contact a Stack’s Bowers Galleries consignment specialist at 800-458-4646 (West Coast) or 800-566-2580 (East Coast).